Final countdown to the Manchester Home Entertainment Show 2010 | What Hi-Fi? 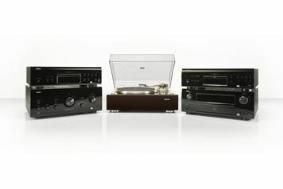 Finally, hi-fi fans will also be able to hear Audiolab's new five-star 8200CD player in action, paired with Castle's new Knight speakers, in the IAG room, and Quad's Elite range of electronics in the Dali room. These and many, many more new products will be making their first outing at the Manchester Show, so don't miss it! Full details in our special Manchester Show blog.